Since I work from home, I often use video conferencing solutions to remotely demo products and participate in conference calls. But often adding video to these conferencing solution slows down the software and causes latency and in most cases, the video quality is poor. Fuze Meeting, the developer of an online meeting software, is introducing a new video conferencing technology, called Presence, that is definitely worth a look. Similar to GoToMeeting or WebEx, Fuze provides a conferencing service that allows users to share screens and run meetings online. As opposed to its competitors, Fuze promises a sleeker more lightweight interface. With Presence, Fuze has essentially combined this interface with multi-party desktop and mobile video conferencing in HD quality. 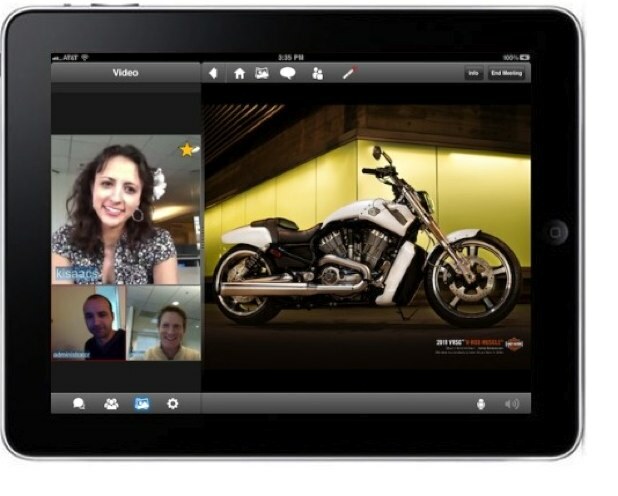 The technology also includes VoIP, screen sharing, the ability to share video, slides, ad more. The Fuze Presence technology is currently optimized for 8 video participants at once. Currently in private beta, the technology will soon be extended to the public early next year. For background, the company, which was formerly known as Callwave, was founded in 1998 and went public in 2004, trading on NASDAQ under the ticker symbol CALL. After reaching a peak soon thereafter of over $15 per share, the stock dropped steadily, dipping as low as 50 cents early this year. Deciding to cut its losses, the company delisted itself from NASDAQ after buying back shares from public shareholders at a 44% premium over the current market value and paying out a total of $10 million. In the summer of 2009, the company rebranded itself as Fuze Box and launched Fuze Meeting. Fuze also launched Tweetshare, a platform for branded Twitter channels, and brought on streaming media inventor Dr. Alan Lippman its Executive Vice President of Media Technology. After a tumultuous past, it looks like things may be coming together for Fuze after all.